Crain’s Chicago Business reports on a new study which found Corboy & Demetrio has the highest median recovery of $1.2 million per case in medical malpractice cases – the highest among the more than 1300 law firms in Illinois, which handle those types of cases and the highest among the top 22 law firms in Illinois considered to be a “tier one” medical malpractice firm. 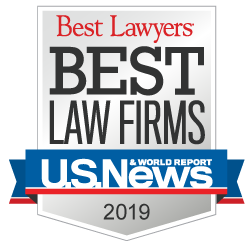 Corboy & Demetrio also has the highest recovery rate in medical malpractice cases of any law firm in the state of Illinois, at 62%, topping all the “tier one” firms in the state, according to the study, which was relied upon by Crain’s for its story. The study, “Medical Malpractice Litigation and the Market for Plaintiff-Side Representation: Evidence from Illinois,” which was released on Jan 31, 2016, was co-authored by David A. Hyman of University of Illinois College of Law; Mohammad Hossein Rahmati of Sharif University of Technology; Bernard S. Black of Northwestern University - School of Law, Northwestern University - Kellogg School of Management and European Corporate Governance Institute (ECGI); and Charles Silver of University of Texas at Austin - School of Law. As reported by Crain’s, the new study found that hiring a lawyer, and specifically hiring a “tier one” lawyer, matters when it comes to recovery. The study spans 11 years, from 2000 to 2011, and found that that the 17% of plaintiffs who represented themselves, received less than 1% of total dollars recovered. Corboy & Demetrio was found to be the leader of the pack when it comes to the median recovery during that 11-year period, obtaining a median of $1.2 million for its medical malpractice clients.